An international team of researchers, including Jessica Spake and Dr David Sing from the University of Exeter, have detected the inert gas escaping from the atmosphere of the exoplanet HAT-P-11b – found 124 light years from Earth and in the Cygnus constellation. 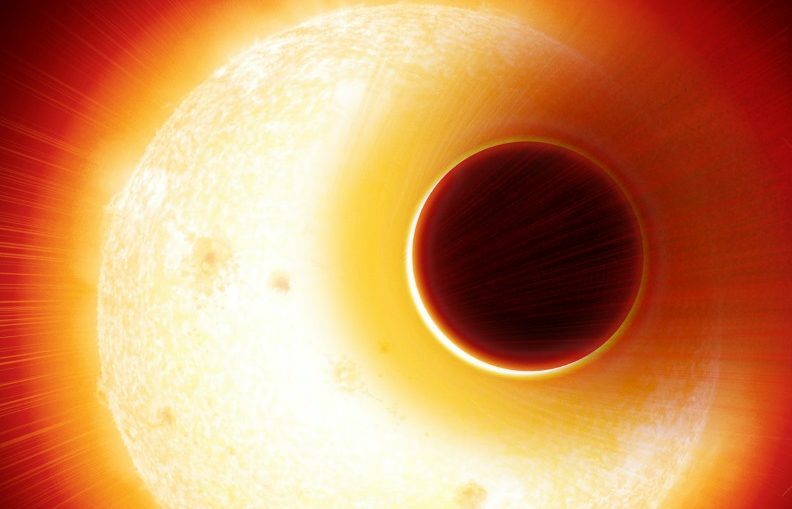 For the first time, the data revealed the speed of helium atoms in the upper atmosphere of the exoplanet, which is equivalent in size to Neptune. The helium is in an extended cloud that is escaping from the planet, just as a helium balloon might escape from a person’s hand. For this new study, the research team used the spectrograph, Carmenes, to pull apart the star’s light into its component colours, like a rainbow, to reveal the presence of helium. The ‘rainbow’ data, called a spectrum, also tells us the position and speed of helium atoms in the upper atmosphere of HAT-P-11b, which is 20 times closer to its star than the Earth is from the Sun.